in Huddersfield, Halifax & Barnsley. Welcome to PetStay Huddersfield and Halifax and Barnsley, my name is Lauren and I’m here to help local dog owners find a loving and caring alternative to kennels, whilst they enjoy their much-deserved holidays. Our carers will provide that home from home for your beloved friend and treat your dog like their own. To find out more or to arrange a visit to one of our carers in the Barnsley area, please get in touch using the details below. Why not avoid the stress your dog faces in kennels and give them an experience of a lifetime with a loving PetStay dog carer in the Huddersfield, Halifax & Barnsley area. At PetStay we have carefully selected many caring and affectionate people who can care for your dog whilst you are away on holiday. Our pet sitters in the Huddersfield, Halifax & Barnsley area provide a better experience than dog kennels because we provide dogs with a home from home environment. Here at PetStay we offer an outstanding dog sitting service in Huddersfield and surrounding areas to dogs and families to ensure that whilst owners are away on holiday whether it is for a weekend or two weeks they will remain unsettled. Since 2005 PetStay have gained an excellent reputation for providing pets a service second to none, far preferable to dog kennels. We have become known as the local pet sitters in Huddersfield, Halifax & Barnsley. Our home boarding dog carers are dedicated dog lovers who have time on their hands, to spend with a fantastic variety of guest dogs. Can you offer a holiday home to a guest dog and look after it, as if it was your own? PetStay can match you with your ideal four-legged friend – one that suits your household and lifestyle, always meeting the dog before booking ensures you are all compatible. It is a flexible and fun opportunity to enjoy the company of a canine companion without having the full-time responsibility of one. As well as the health benefits of exercising a dog, we all know that it is a lovely way to socialise with like-minded people. In return, you will receive an allowance to cover your time and commitment. As your local franchise for Huddersfield, Halifax, and Barnsley, we offer 24/7 support, knowing that it’s important for you to concentrate on the fun side of caring for a guest dog. As a PetStay dog carer, you can pick and choose the dates you want to have dogs staying over with you and you will be covered by our licence and insurance meaning you can enjoy all the benefits of pet sitting, hassle-free. This was the first time we used PetStay as we wanted our girl to live in a home from home environment rather than kennels. Audrey, our sitter, was lovely, from the first visit to discuss our requirements, through to the actual stay. We received photos of Skyla whilst she was in Audrey’s care and she always looked very comfortable cuddled up by the fire or on the sofa, being treated as a member of the family, just what we were looking for. Would have no hesitation in recommending Audrey and PetStay, we have booked further stays for Skyla and we can go away on our holiday knowing that she will be looked after as she would be at home. We were very wary about leaving Jakey at first, (especially for 2 weeks!! We have only ever left him for a few days) as he is reactive to some people and some dogs plus he has allergies which includes a specific diet and at this time he was having problems with his eyes. I need not have worried both Lauren and Jez loved and cared for him as their own! Jakey had a sleep over first to make sure he was ok and the rest was the forming of a beautiful relationship….he was well cared for and it was clear to see in the wagging tail when we picked him up….we have already booked again! I would just like to say that Trish and John were fabulous. Alfie is missing them even now. I felt totally happy leaving Alfie with them. I would recommend them to anyone looking for a safe happy home for their pet. Thanks so much for suggesting them. From the first visit I made with Ned to Joanne, I felt very comfortable. Joanne was very interested in Ned’s eating, walking and play needs and made lots of notes which was very reassuring. Whilst we were away over Christmas, Joanne sent photos of Ned and texts which also helped assure us that he was happy and well looked after. She also bought him a Christmas present, which was a lovely touch. He was clearly happy when we picked him up and we wouldn’t hesitate to use Joanne and her family again and would recommend her to others. Joanna has looked after our two greyhounds a few times now and we are always thrilled with the quality of care they receive. She takes care to write down all the information I give her about their diet etc so they can have as little disruption as possible and I get sent photos every couple of days over Facebook so I know they are doing alright. Last time I dropped them off they felt so at home they went straight to the toy box, helped themselves to a toy each and settled down within a few minutes! Thanks Joanna and Alan! The care Jill and Howard have given to Honey is above and beyond anything we could have expected. Over the last 12 months it has become her second home and it is obvious she is treated as one of the family when staying there. I cannot recommend enough the service offered by Jill and Howard, so much so we have already got Honey booked in four times this year. We trust totally the care Honey will receive and know it will be like we would care for her ourselves. I think that for 2019 you might need to book early! Thanks Lauren for putting me in touch with Mandy. It was the first time I had left Amelie with anyone and I was so worried about leaving her. However, there was no need to have worried. Amelie enjoyed her stay with Mandy. She returned home happy and well. The regular text messages put my mind at rest so that I could enjoy myself on my trip. Amelie even left Mandy’s with a little gift as an early Christmas present. Thanks once again. I would definitely recommend PetStay. I’vee left our dog with them twice and can honestly say its nice to be able to go away on holiday knowing that my dog is being well cared for. Also the price is reasonable as your not paying much more than kennel fees. Molly moo came home today after a weekend stay with Joanne. Joanne kept to Molly’s routines regular walks lots of love and affection given. I can only say a massive thank for giving my dog the love that I do. Charlie and Joanne bonded from the moment they met, which was a great relief as Charlie had never been left with someone he didn’t know. Joanne was great, she looked after Charlie as though he was her own pet. She kept to Charlie’s routine, walking him regularly (despite the awful weather), keeping to his set mealtimes and most importantly treating him as a member of the family. I would definitely recommend Pet Stay as a “home away from home”. It was good to know that Pet Stay only allow one dog (or two if from the same family) to stay with the chosen carer for the duration of the stay. My thanks to Joanne and to Lauren for making my holiday (and Charlie’s) so enjoyable and stress free. I have used Petstay many times over the last 10 years for both of my dogs. Most recently in September 2018, Jingo stayed with Peter and his own dog in Barnsley for 6 days and had a great time. When I went to pick him up Jingo was his usual happy relaxed self so he obviously felt very at home with Peter and Yak. Both Julie and I would like to thank you for such kind and tender care of our dogs Mitsy and Pebbles.  Katherine was the perfect choice to care for the dogs, she was caring, loving and treat our dogs as if they were her own. She kept in touch regularly with updates as we were on our cruise, so we could enjoy our cruise without worry of the dogs. Katherine is a credit to your company and would without hesitation recommend Katherine to anyone wanting to have their dog cared for. Well done. We left our boys with Rachel who looked after them well, they even seemed to be less manic so looks like some training was also given. Which is what they needed as together they can be a bit rough round the edges. They were pleased to see us, but we also were pleased to see that they looked really well. We have actually asked for Rachel to look after them again and she said yes so we are very pleased indeed. Our dog Blossom stayed with Audrey who was absolutely brilliant from start to finish. From first meeting Audrey, you could tell she was a dog lover. Blossom also took to Audrey’s husband and son straightaway as well. I felt very comfortable that Blossom was being well cared for and I wouldn’t hesitate to recommend Audrey and PetStay 100%. Blossom is holidaying again with Audrey and her family very soon. “What can we say, we contacted Petstay and Lauren put us in touch with Betty & Vince. They are such a lovely couple who looked after Sydney as if he was their own dog. We instantly got on with Betty & Vince and we are very grateful to Lauren for dealing with our needs regarding Sydney and his strict diet. Betty & Vince, we are looking forward to seeing you again when you look after Sydney later in the year. “Daisy and Ruby had a wonderful stay with Jill and Howard, together with their son, and they provided exemplary care to them in our absence. Our dogs had the run of the garden, with the door open most days, and had regular long walks. Jill sent regular and very touching texts on behalf of Daisy and Ruby, keeping us informed of how they were doing. Our dogs have had two lovely stays with Mandy in Pellon. She is so considerate, and always texts us to reassure us about how they have settled and how they are getting on during the stay. We placed our puppy with Lin and Phil who were brilliant with her. She is a 8 month spaniel so I had my concerns, but I need not have worried she was looked after perfectly. Would recommend PetStay to anyone. Thank you Lauren for looking after us so well and also to Lin and Phil for looking after Rini so well. We left our very bouncy and spoilt boxer, Lola with Joanne for 12 days. Lola was well cared for and spoilt by Joanne and her husband. I would be very happy to leave her again with PetStay. Just wanted to drop a quick email to say thanks for finding Peter to look after Pepper. He has done a great job, Pepper was well taken care of and had a great stay at Peters, was also good for us as Peter kept us up to date with photo’s so we didn’t miss her as much. I’d recommend Peter and would most certainly use him again. Just wanted to say thank you for finding us the most perfect carer for Nala we have been absolutely overjoyed with the care given. Geraldine’s looked after her like we do and they are the most loveliest family. The updates and photos meant the world to me. You’ve one excellent carer in Geraldine and her family. We will certainly be booking with you for Geraldine and family from here forth. Thank you for a fabulous service. Thank you so much. Thank you so much for recommending Mandy Keeble as a carer for our dog, Marley. It was the first time we had gone away without him and we were extremely anxious, but after our initial meeting with Mandy our minds were put completely at ease. She was very welcoming to us along with her dog, Max, and I had no worries leaving Marley with her as he seemed totally relaxedthere from our initial meeting. Whilst we were away she sent me frequent updates about him so we were able to enjoy our holiday without feeling guilty about leaving him behind. On our return,it was obvious that Marley was very happy there and Mandy teased us that they were keeping him! Thank you again for everything, I will have no hesitation in asking Mandy to look after him again. “Just wanted to say what a wonderful job Mandy did looking after Freddie. He really settled in well at Mandy’s house and treated it like his own. Mandy was great at keeping us up to date with how well Freddie had settled and sent us texts on a regular basis. Overall we couldn’t have wished for anyone better Mandy did a fantastic job. “A friend recommend Petstay when I was looking for someone to care for my two young dogs when I was going on a three week holiday. My girls are quite spoilt and was apprehensive about putting them in Kennels. I contacted Lauren at Petstay and she was exceptionally helpfull and put me in touch with one of her ‘home carers’ Joanne. We visited her prior to our holiday and was put at ease straight away, I had no more worries about leaving them and went on holiday feeling so relaxed. She updated me every week with a report on how well they where doing. I highly recommend the service I received and Joanne and her family for the love and care they gave to my girls. Hello Lauren – thank you both so much for having Dylan – he obviously loves you both very much & is very happy to be with you. He isn’t at all unsettled when he comes home after being with you – that’s a sure sign to us that he’s happy – which is a great comfort to us! This was our 1st time using PetStay, I’m sure it will not be my last, I would just like to share our experience with anyone wishing to use petstay, from the 1st phone call, lauren the lady who I delt with was, friendly and helpful, full of information, they offer a fantastic service, I was really pleased, my dog henry came home relaxed and happy after his stay. 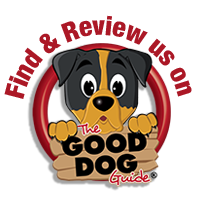 I would give PetStay 5 stars and would recommend there service to anyone. Just wanted to let you know how wonderful Pauline and Malcolm were with Harvey. I was more than happy with the service they provided. I could tell when I picked Harvey up that he was relaxed and felt at home in their home. Next time I need someone to care for Harvey I hope Pauline and Malcolm are available. Thanks so much for finding Harvey such a wonderful place to stay, which in turn made our holiday really enjoyable. I just wanted to drop you a line to say how pleased I was with the care Hollie received last week while staying with Carol and Barry. I also wanted to thank you for all your efforts in arranging it. It has totally put my mind at ease about leaving Hollie with carers and I wouldn’t hesitate to use your service again. I was so happy with the service that I have booked a two week holiday next year and would be grateful if you could check if they would be available. Just to say I am thrilled about discovering PetStay – giving me the peace of mind that Edith has as good a holiday as I do! To find out more or to arrange a visit to one of our carers in the Huddersfield, Halifax & Barnsley area, please get in touch using the details below. PetStay Huddersfield, Halifax & Barnsley office address is 21 Palesides Avenue, Ossett, WF5 9NL. For the purposes of data protection PetStay is a data controller (ZA219673). You can verify the details you have submitted to PetStay by contacting us by email lauren@petstay.net or by post at PetStay, 21 Palesides Avenue, Ossett, WF5 9NL. Alternatively, you can telephone us on 03337 720924. You can always feel free to update us on your details at any point by sending an email to lauren@petstay.net. You can request a readable copy of the personal data we hold on you at any time. To do this, please contact us via email lauren@petstay.net.